If there's one thing you can always be sure of, it's that Monday will roll around again. No matter how hard we try to linger in the bliss and freedom the weekend brings, she's there waiting for us, prying us out of our warm beds on a cold dark morning and forcing us to take on another week. 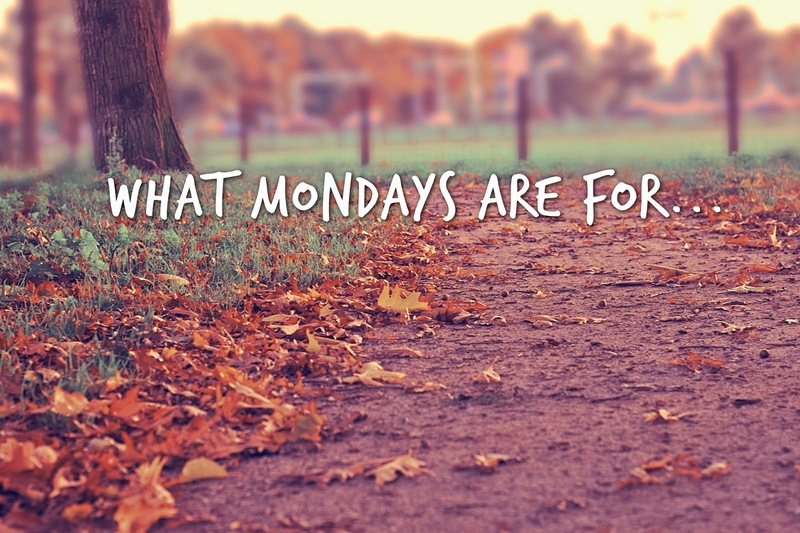 What do you have going on this Monday? Uhm, I'm sorry...carne asada in your crock pot!?! DO SHARE PLEASE! And yay for YOU loving your hair :) I love it! I'm so jealous of your carne asada- definitely saving the recipe! And I live by Aveeno's Positively Radiant daily moisturizer with SPF 15. It's light and works great! I have also been thinking of Christmas gifts! I'm ready to get it done so that I don't have to stress once it gets here! mondays seriously come back around SO fast. and i always miss my furbabies too when i go back to work. I used to use the Aveeno moisturizer mentioned above when I had drier skin and I loved it! My Mum borrowed it from me one time and she's been hooked ever since haha. Question: what type of workout do you do during lunch?